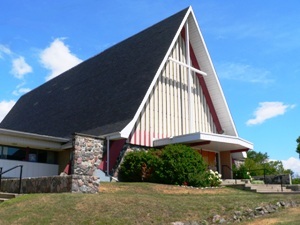 Celebrate Recovery meets here every Tuesday at 7:00 p.m. Celebrate Recovery is based on the teachings of Jesus found in the sermon on the Mount. 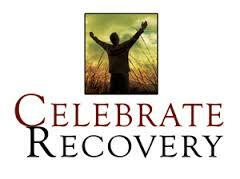 Everyone has hurts, habits and hang-ups and it is our hope and prayer that everyone finds freedom from these through Celebrate Recovery. We celebrate the healing power of Jesus Christ. Each week we worship and listen to a teaching or a testimony. Later, women and men are separated so that each person can freely speak about their experiences, strengths and hopes with one another for 5 minutes without interruption. By applying Biblical principles and making Jesus Christ our Higher Power we grow spiritually and find freedom from our addictive, compulsive and dysfunctional behaviour. This freedom creates peace, serenity, joy and a stronger relationship with God and others. Besides the Tuesday evening large group we also provide small study groups so that individuals can complete a 12 step recovery program. This gives individuals opportunity to make clear healthy choices. We are an eclectic group of women from a variety of different churches, backgrounds and ages. All women are invited to join this lively group for prayer, study, discussion and laughter. Every Tuesday from 9:30 – 11:30 September to June we meet each other and our Lord. We have just started studying Max Lucado’s book on Acts. The cost of the book is around $10. We are a group of women that love the Lord, each other and the world as Christ commanded. 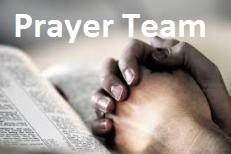 Every month on the second Thursday at 1:30 pm we meet to pray for local and global ministries. With the help of speakers, videos and teaching we have learnt how to pray effectively for our world. In the past we have had speakers from the Gideons, Youth for Christ, Camp Norland, Village Missions, Canadian Baptist Women of Ontario and Quebec and many other worthwhile missions. We sponsor a Child through Compassion Canada; Ashama from Bangladesh. We believe we need to actively follow Christ’s command. Once a year the Tuesday Morning Bible study invites all women to a very enjoyable time of breakfast, a dramatic presentation and a bible study. We have been doing this for over 10 years. In the past we have studied Eve, widows of the bible, the Syrophoenician Woman and many, many others. This year we studied Sapphira and Pricsilla. Captain Gloria Redner from the Salvation Army North Bay was our speaker. Over 90 women were challenged and encouraged by the message. It cost only a tooney and the money went to a worthwhile mission. $362 was raised this year for women in Rwanda to provide literacy classes. In Rwanda %50 of the women are illiterate and the majority of them live on less than $1 per day. Money raised by this endeavour will give women a chance to learn to read and to experience the love of Jesus by their Christian teachers.